Shelby Moore is no stranger to ghosts. Landing her dream job as a location scout for a wildly popular paranormal television show seems like an act of fate. But she never thought she’d find herself so close and face-to-face with the darkness from the other side. Her first location is a game changer. How can an entire town be haunted? The paranormal activity in the small, sleepy Midwestern town of New Harmony, Indiana, has been reported for decades. Nearly every building has a ghost in residence. Join author and paranormal investigator Joni Mayhan as she explores this mysterious town that was the site of two Utopian colonies and tries to undercover the truth behind the hauntings. Filled with personal accounts and true stories that will leave you spellbound. I chased the miles, driving as fast as I could manage, my eyes constantly seeking the rearview mirror, terrified at what I might find in my backseat. In my heart loomed a horror I couldn’t wrap my mind around. Had this really happened to me again? Did another demon latch onto me? Ghosts have always been a part of Joni Mayhan’s life. Since childhood, they’ve followed her home and made her life a living nightmare. Just when she thought she had a grasp on her ability to sense them, she began experiencing darker entities, bringing her close to the breaking point. 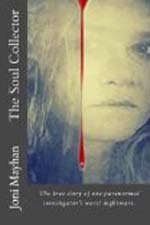 After surviving the Soul Collector, she thought the worst was behind her, but it was only the beginning. Our deceased loved ones are always around us, sending us signs that we often miss. It could be as simple as a touch on your hand or a feather on your doorstep. Read the personal accounts from people who have experienced visits from their deceased loved ones and learn about the various signs. Evil is very real. It lurks at the corners of our existence like a cunning predator, waiting for the right opportunity to present itself. It has no conscience. It will attack young mothers with small children, people who are down on their luck and those with perpetual illnesses. In fact, those are its chosen prey. It will take them down with bone-crunching glee as it devours their very souls. For several decades, one man has been fighting the darkness. Armed with a legion of archangels and spirit guides, he has silently been battling a deadly army, bringing peace and salvation to hundreds of weary souls. Until now, his story has remained a secret. This is the story of Shaman Michael Robishaw. Ruin of Souls takes you deep into the heart of the terror with 13 true paranormal encounters that will leave you chilled to the bone. If this book doesn’t frighten you, nothing will. Imagine speaking to the dead and having them answer your questions. You can do this using nothing more than a digital recorder and a well-planned out EVP session. This eBook will bring you through the process from beginning to end, teaching you how to minimize contamination, as well as evaluating it using a sound enhancement program and then posting it on Soundcloud. Includes screen shots of each step to make the process easy. This book contains dozens of EVPs, along with the stories that accompany them. Knowledge is power, something that is essential for anyone delving into the world of the paranormal. Dark and Scary Things flings open the door, allowing you to take a long look at the monster in the closet. Contains chilling stories of extreme hauntings. Have you ever wondered if you have a sixth sense? Explore the various Clair abilities, while learning how each ability works. Taken directly from her Paranormal 101 Class notes. There wasn’t anything unusual about the house. At first glance, it was as normal as any other house in the suburban central Massachusetts neighborhood. Small and blue, it was shaped like a box with windows and doors. It was the type of house you might expect to find window boxes overflowing with brightly colored geraniums and a festive garden flag that said welcome! Nothing about it suggested it was haunted.Events would transpire over the next eleven years, tearing our family apart and nearly stealing our souls. True paranormal story. Click here to order Devil’s Toy Box. When Edwin Gonzalez and Lillian Otero purchased the historic S.K. Pierce Victorian Mansion in Gardner, Massachusetts, in 2009, they scoffed at the ghostly legends surrounding the house. They didn’t believe in ghosts.The house soon proved them wrong. By the fall of 2011, they were forced from their house, narrowly escaping with their lives.Includes interviews from paranormal experts, photos, as well as audio and video links of evidence captured at the Haunted Victorian Mansion. Click here to order Bones in the Basement. And, whatever you do, don’t write about him. If you do, he might come back,” they told me. Ghost hunting isn’t always fun and games. Sometimes, it can be deadly. Paranormal investigator, Joni Mayhan, found out the hard way when she met The Soul Collector, and had to fight for her life. True story. Contains photos and links to Joni’s EVPs. Click here to order The Soul Collector. 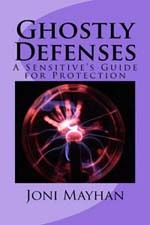 Ghostly Defenses – A Sensitive’s Guide for Protection (2014) Being a sensitive isn’t always easy. While we can sense that ghosts and spirits are present, we aren’t always prepared to handle them. This guide is a starting point for sensitives, giving them direction on how to harness their abilities while staying protected from negative energy. Also includes information on how to smudge with sage, both at home and at an investigation. Click here to order Ghostly Defenses. Something is strangely amiss in the town of Harmony, Indiana. Sixteen-year-old Winter Woods dismisses it as new town nerves, but she begins to wonder after a blue-eyed crow shows up at the cemetery next door, where she spends most of her time. When she finds the spirit board in her closet, a series of events are set into motion. She must race against time with the help of her twin sister, Summer and new friend Jack to uncover the secret before it claims all of them. 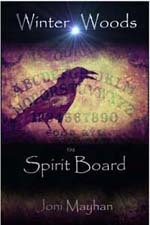 Click here to order The Spirit Board. After two girls are found dead following several spirit board sessions, Winter Woods is terrified she caused their deaths by opening a doorway to the spirit world. As she digs deeper into the mystery, she learns the chilling truth about Harmony and is forced to fight for her life. 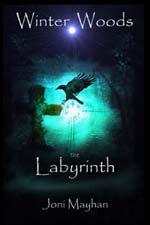 Click here to order The Labyrinth. Winter Woods finds herself on the run with her twin sister Summer and her new friend Jack Lawson. Forced to flee from the coven that chases them, they quickly discover that Amanda Hoffman will stop at nothing to stop them. 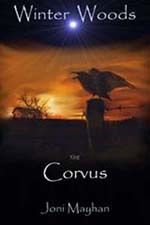 Click here to order The Corvus. Ember Pain is fearful of leaving the sanctuary of her home after a horrific virus has wiped the world nearly clean of people. When the bad men who are responsible for the virus appear in her yard and steal Elizabeth away, she must do the one thing that scares her most.She must race to find her sister before the bad men learn her true secret. 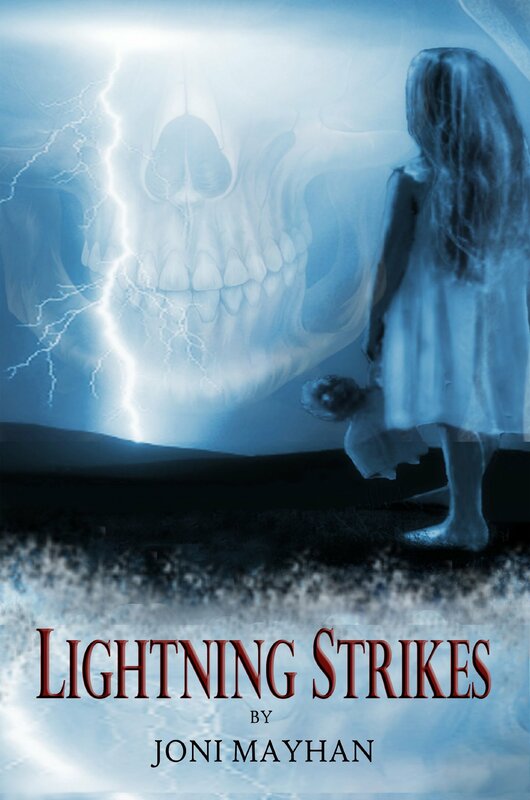 Click here to order Lightning Strikes. Ember and her friends thought they found a safe place to hide, but when the bad men continue to find them everywhere they go, they begin to realize there is more to the virus than they first imagined. The children are being kidnapped because they possess metaphysically gifts, like Elizabeth and the bad men are desperate to find them. As Ember struggles for her feelings for Henry, she wonders if they will survive the battle that looms ahead of them. 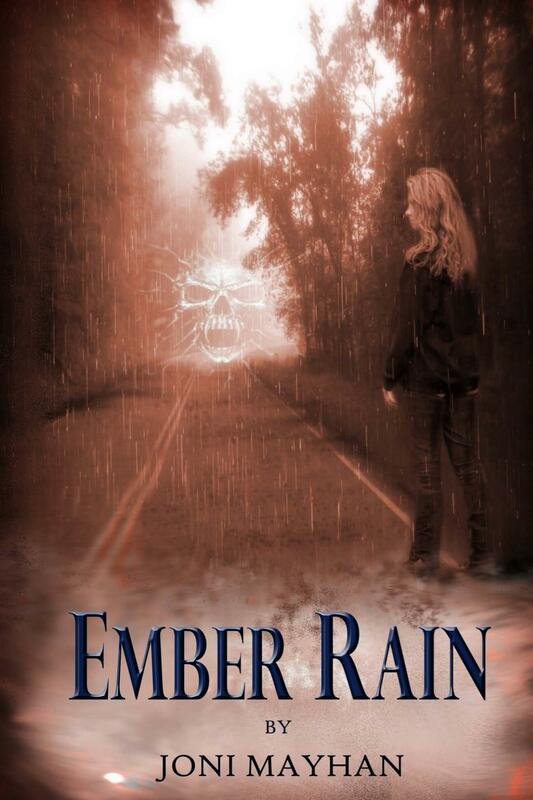 Click here to order Ember Rain. Ember Pain is tired of running and hiding. After a virus was released, wiping out the majority of the population, the world has become a very dangerous place. If they aren’t fleeing from the bad men who hunt them, they are contending with the cannibals who want to eat them. Making a stand seems like the only option. As Ember and her friends travel to Wyoming for a final showdown with the bad men, her life becomes even more complicated. Nothing will be easy, she knows this. But she holds onto hope. It’s all she has. 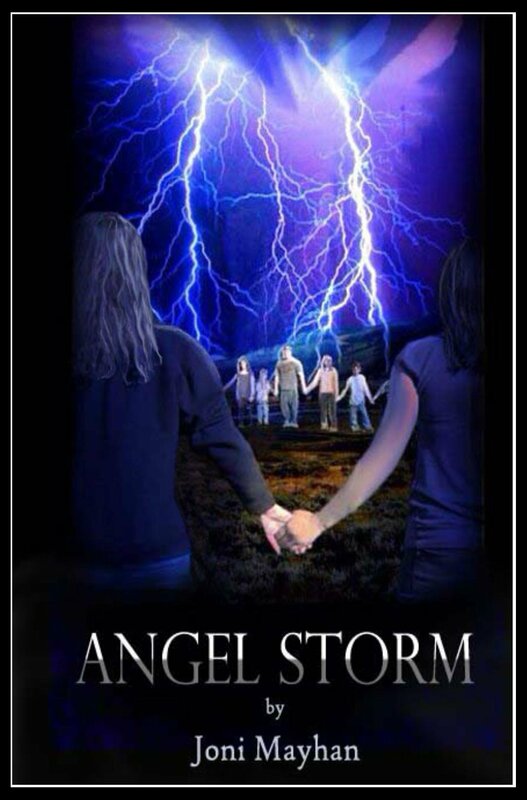 Click here to order Angel Storm. How can I attend the classes if I live in another state? I’m going to start on-line classes in January! Thanks for asking. I recently read 2 of your books (loved them) and was checking the net to see if you had any more. I was pleasantly surprised to find many more available. I’m looking forward to delving into some new ones soon. Thank you for your writings.